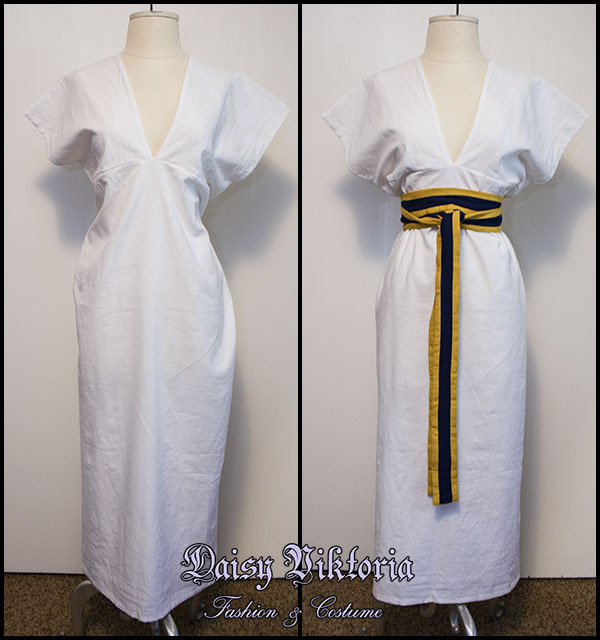 This is a linen V neck dress based on ancient Egyptian clothing. This is created using a rectangular cut. It can be worn belted or unbelted.